If your family is anything like ours, you spend most of the holiday months searching for that one special gift to proudly display under the tree. The one that will bring eyes full of wonder and faces full of smiles. The one that will fill your home with squeals and laughter all season long. Unlike previous years where we’ve scrambled at the last minute or fought the crowds on Black Friday, this year we actually found ours early. 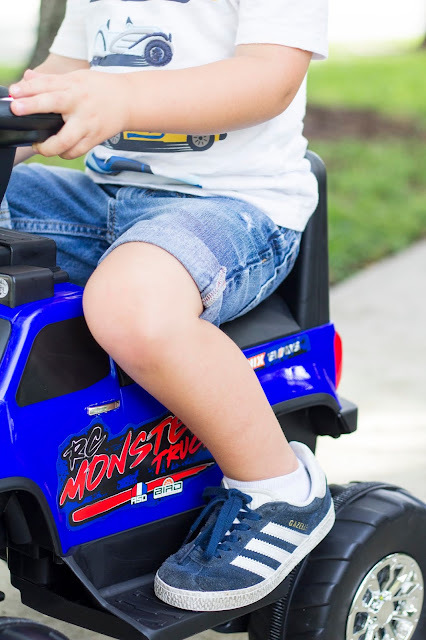 The Huffy Radio-Control Monster Truck is everything we look for in a holiday gift. It was super simple to put together - just attach the steering wheel and it’s ready to go. I may never live down the year I made my husband assemble an entire kitchen on Christmas eve, but no last minute building this year! 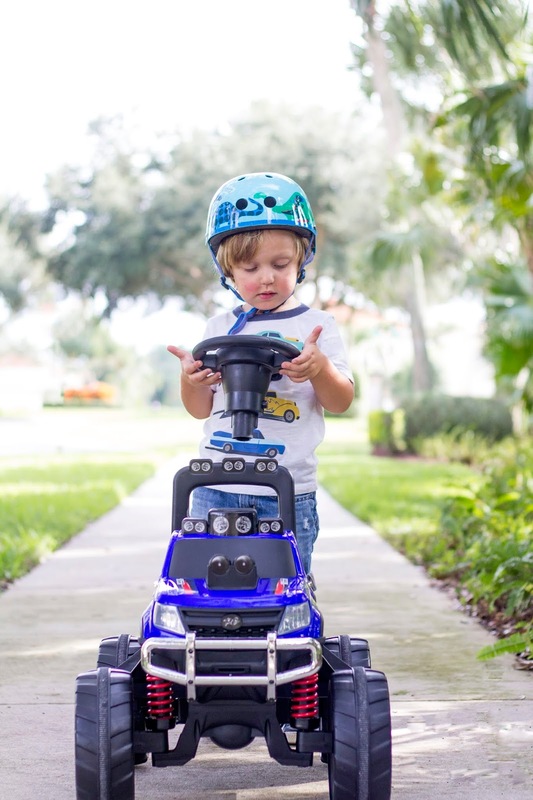 It’s also two toys in one – doubling the play potential. It easily converts from a monster truck ride-on into a super-size radio-control monster truck. 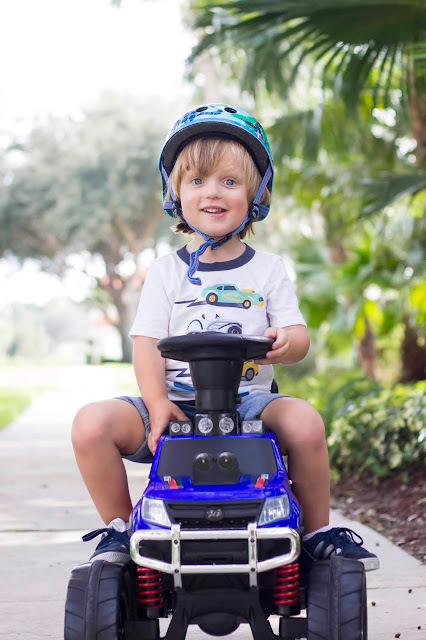 The truck is really easy to use; it took Jacob no time at all to figure out the buttons, steering wheel, and foot pedal – and he has no motor controlled vehicle experience whatsoever. He thought it was so funny to switch it from driving forward to driving backwards, and the loved taking it on to the grass. 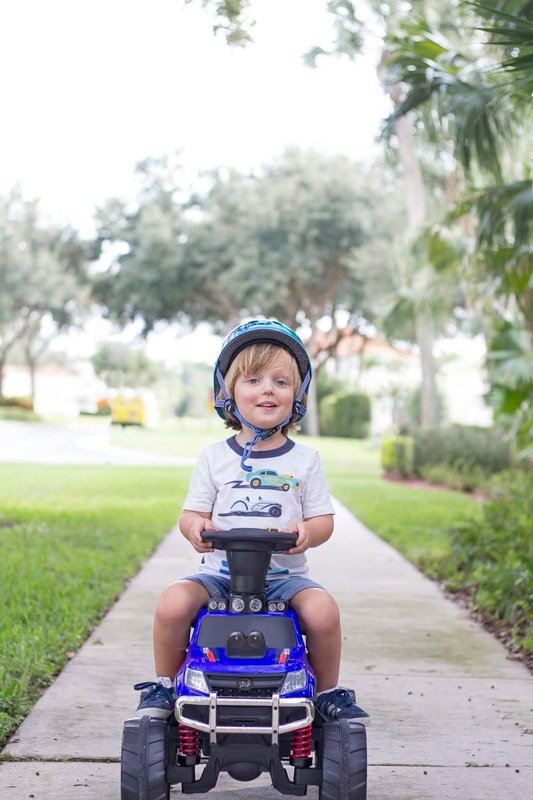 Those big sturdy wheels make off- roading no problem! 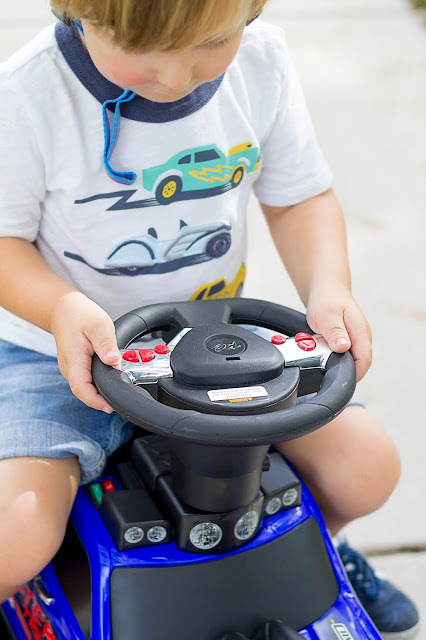 To convert the ride-on into a radio-control just remove the steering wheel and it becomes your controller. 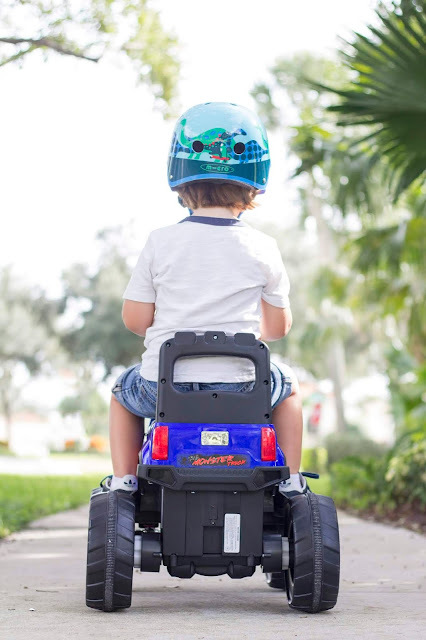 For ease of mind and child safety, the radio controlled power only operates when the steering wheel is removed and there is no weight on the product. Jacob had a blast going back and forth between radio controlling and riding. I’m not exaggerating at all when I say it provided us hours of entertainment. 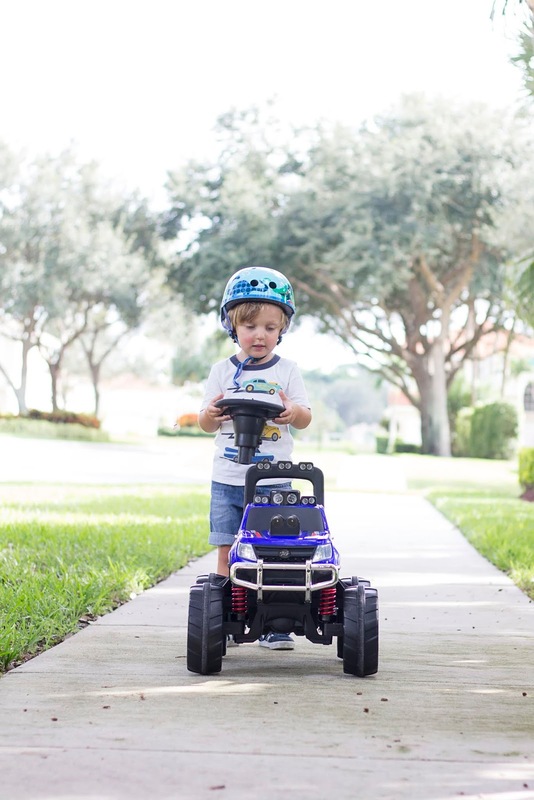 While this is no doubt a present for Jacob, it’s also going to make things a little easier for mom and dad. We love to go walking in the evenings, but the stroller presents a challenge because Jacob will be fast asleep before the walk is over, every single time without fail. As you might guess, this then makes getting him to bed at a reasonable hour a challenge. Now he can ride along on his Monster truck while the whole family gets in some exercise and fresh air. 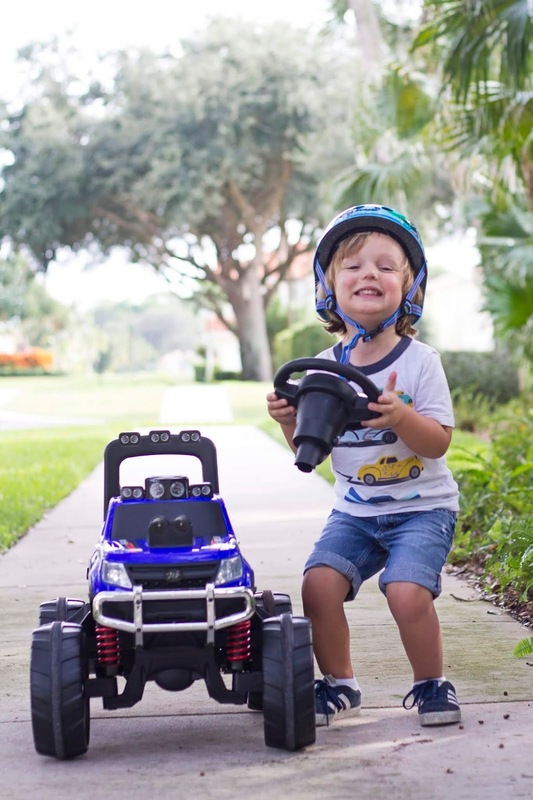 The monster truck is also affordable, which is always a selling point for us during the holiday season when it feels like our hearts and wallets are being pulled in a million different directions. 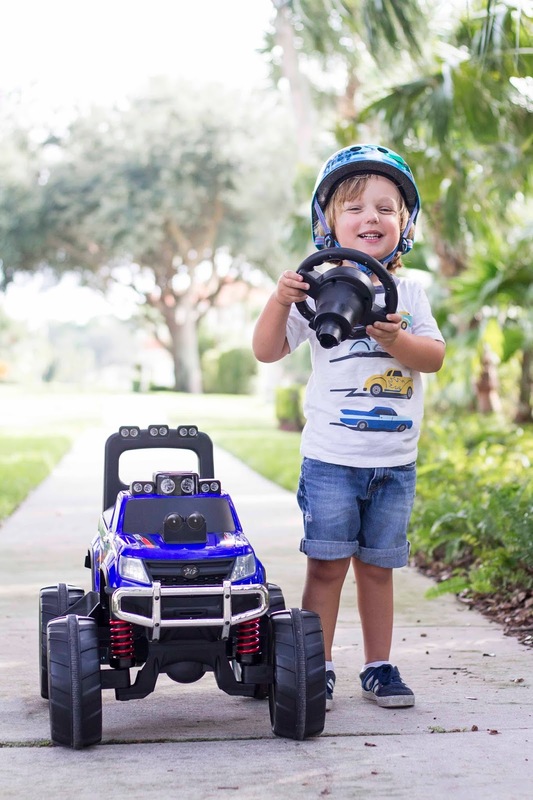 The Huffy RC Monster Truck is recommended for kids age 3-7 and is perfectly sized for the early elementary set. Looking for a present full of fun and wonder? 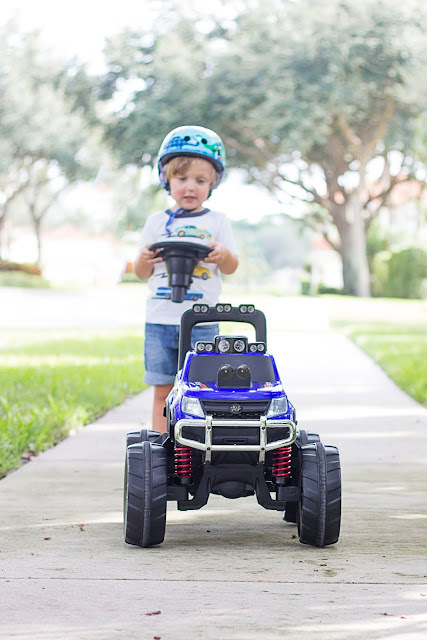 You can find the Huffy RC Monster Truck at Walmart, along with other Huffy products – there’s something for every kid! What’s on your kid’s wish list this year? 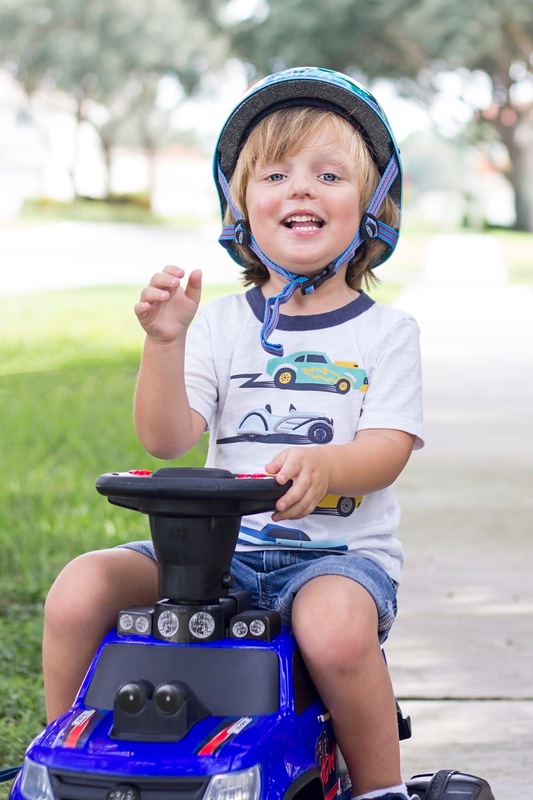 1 comment on "Seasons of Fun"
He looks so excited about his new ride! !